Your credit score is possibly not something you think about very often until you need to borrow money, want to apply for a credit card or take out a loan. As soon as you’re 18, you can apply for a loan or a credit card, so you should start thinking about your credit score as quickly as possible! Having a good credit score is vital because it can affect your ability to borrow money, impacting future decisions such as buying your first house and taking out finance on a new car. Luckily, it’s possible to check your score for free, and if it’s not looking too rosy, there are a number of things you can do to improve it. Let’s look into it closer below. Every adult in the UK will have a credit report or credit file with one of three credit scoring agencies: Equifax, Experian, and Callcredit. The information contained in it can be used by lenders to determine whether to lend to you, how much to lend you and the rate of interest to charge. Your credit score is based on the information in your file and will be a reflection of your financial decisions and situation over the last six years. 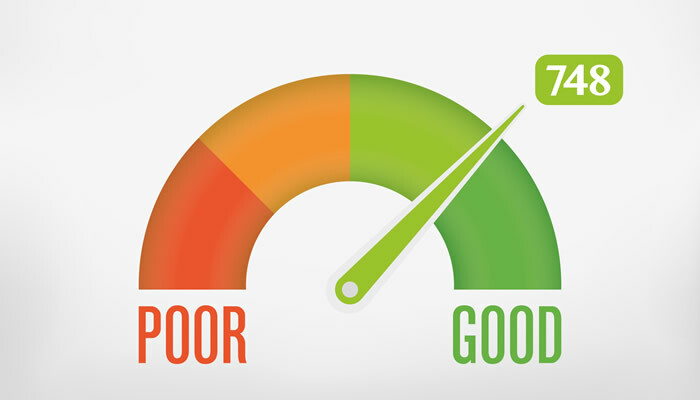 If your credit score is low, you are far less likely to be accepted for credit. It is possible to apply for a loan or open a business or personal account with no credit check. However, there are things you can do to make your credit score better. The first is to make sure your name is on the electoral roll. If it’s not there, you’ll find it much harder to get credit. The second thing to do is check all the information on your file is correct. The smallest of mistakes can make a difference to your overall score. You might be able to challenge any mistakes by contacting the credit reference agency. Your credit report is going to look much healthier if you pay your bills on time because missed or late payments can stay on your file for up to six years! There are instances when you can get black marks removed. For example, you make a payment late because your direct debit wasn’t set up in time. Your credit provider may be able to do something about this in your report. Paying off your debts promptly shows you’re responsible to any prospective lender and is seen as managing your debt well. Whenever you can, try to pay off more than just the minimum payment. Every time you apply for credit, the lender will perform a credit search, and this will be noted in your credit report. Space your credit applications out as much as possible, don’t apply for credit unless you really need it, and find out whether you’re likely to be accepted before making an application. Using a credit-building card is another way of boosting your credit report. They are designed for people with little or poor credit history. Paying the bills each month proves you’re creditworthy and increases your credit score. It might feel like having a bad credit score is the end of the world, but there are things you can do about it. You don’t have to pay someone to do it either. Follow the tips above, and you’ll be off to a great start!